Actress #Kareena_Kapoor_Khan has been named the new face of #Dabur_Amla_Hair_Oil, which is enriched with the goodness of gooseberry. Natural personal care company, Dabur India Ltd, made the announcement on Tuesday. "We are proud to welcome Kareena Kapoor Khan into the Dabur Amla family. Dabur Amla Hair Oil has always been associated with beauty and has been known as the key behind strong, healthy, long and beautiful hair. "Kareena's vibrant persona, pan-India appeal and her confident attitude makes her a great fit for our brand," Rajat Nanda, Deputy General Manager - Hair Oils, Dabur India Ltd, said in a statement. 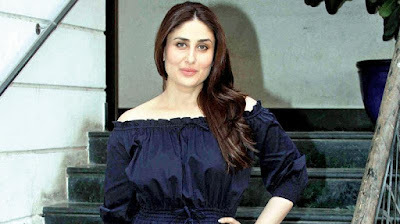 Speaking about her association with the brand, Kareena said: "Hair is very precious for each and every girl and hence, they deserve only the best."